In one of the most beautiful and wind-protected beaches of the island, Saint Nicholas (Agios Nikolaos) beach, everybody will find their own paradise in water games, either they are young or older. 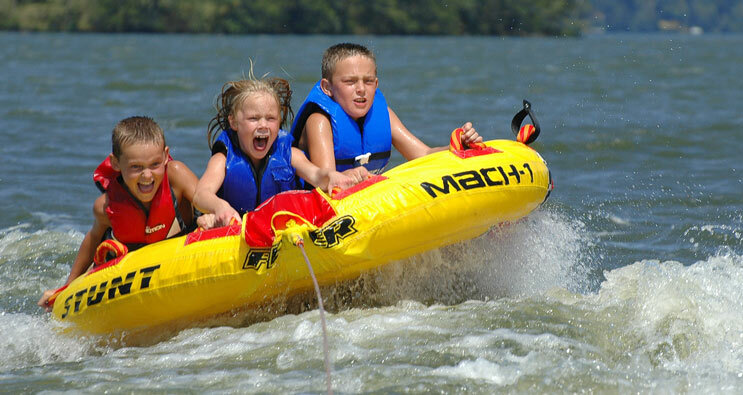 St. Nicholas Watersports & Diving Center offers an incredibly wide selection of water games, such as banana, ringo, water skiing, parasailing, canoes and flying sofas, as well as modern jet ski bikes, jetpack, fly board and SUP. Adrenaline is rising and entertainment for both young and old goes up to a higher level. Of course, there are beach bars, beverages and drinks on the beach, as well as hundreds of sunbeds with umbrellas for endless hours of relaxing and sunbathing. For endless relaxation in the safe environment of an organized place with sea games, water slides and recreation areas, in the village of Sarakinado, Water Village operates during the summer months. Young and old visitors will have fun, while there is a multi-room with food, ice cream and a drink next to the large pool bar. For older people, there is a stone bar with cocktails and beer, and a souvenir shop. The place meets the specifications for toilets, first aid, storage rooms, and many toys inside and outside the water. Children of all ages will find whatever they love to do. 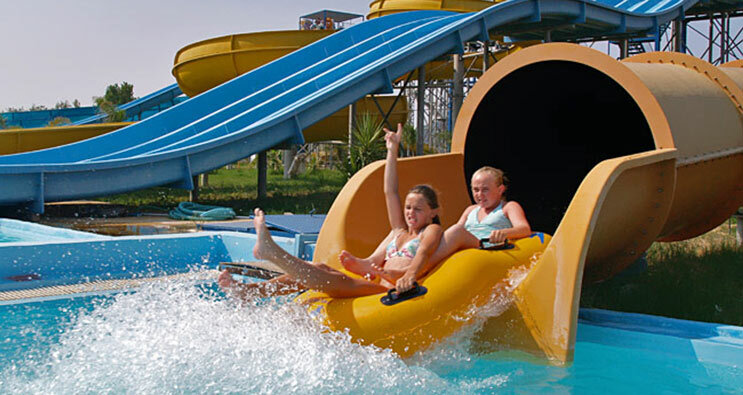 Water Village is one of the biggest water parks in Greece. It stands on a piece of land occupying 40.000 sqm.